Licensed nutritionist, giving you the personal attention you need for weight loss, gastrointestinal disorders and more in Tampa, FL and nationwide. I have Celiac disease, obese and a type 11 diabetic on insulin for over ten years. I could never loose weight and my Dr. kept increasing my insulin. Thanks to you I have now lost over 50 pounds and off most of my medications for diabetes. Now I can exercise! Thank you for giving me my life back. I had severe dermatitis and eczema my whole life starting as an infant. After years of using steroids, creams and taking medicinal baths I was recommended to Barb from a friend. After just a few short weeks of working with Barb, my skin began to clear and I was able to stop my medication. A surprise benefit-- my stomach is less bloated, bowel moments consistent and I've lost weight! Thank you Barb! I've had gastrointestinal issues, sinus and allergies my whole life. I didn't know that it could be different. After consulting with Barb, I no longer have sinus, allergies and my bowel movements are normal. I feel so much better. My daughter was born 2 months premature and life flighted to a children's hospital. Her abdomen was severely distended. She did not have a bowel movement for the first ten days, then 10-15 watery bowel movements daily. Changing clothes, sheets and many baths per day. After two years of probing with no results, her GI doctor told us there was nothing else to do. 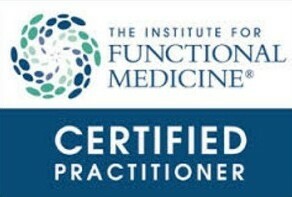 I researched Functional Medicine and found Barb. After initial consultation I immediately started an elimination diet and supplements. My husband and I were hopeful but skeptical. Within two weeks we started to see results. Her tummy started to decrease and bowel movements improved. She was more active and thriving. She just celebrated her 3rd birthday and she is happy and healthy, and fitting into 'normal' size clothing. She is now able to go on vacation, took a plane ride, play sport and go in the pool. She is being 'potty trained', something we never thought would happen. None of this would have been possible if we had not been led to Barb and her expertise. We are so thankful for the health Barb has helped to provide for our baby girl and the quality of life that this has allowed our entire family.